Beyond Heating is a specialist team of plumbers and heating engineers covering Surrey, Berkshire, South West London and North East Hampshire. Beyond Heating was established in 2011 by an experienced plumber/heating engineer offering over 20 years’ experience in plumbing and heating services. The company has since expanded, but has ensured the high service and expertise has been upheld and our customer care remained paramount. For more information feel free to read our Customer Charter here. We assure you that our skilled plumbers and heating engineers will be polite, helpful and tidy. With our fully qualified plumbers and Gas Safe registered heating engineers, you can be rest assured that your home is in safe hands and that your problem will be dealt with safely and efficiently. Beyond Heating is proud to be accredited by Which?Trusted Trader and is registered with Gas Safe. 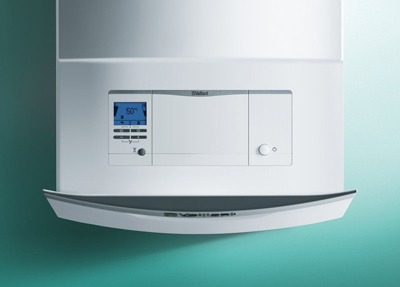 We are also accredited installers of Vaillant boilers and can offer a 10 year guarantee on selected boilers of this brand. Beyond Heating are based in Woking, Surrey, however our plumbing and heating engineers cover a large area across Surrey, Berkshire, South West London and North East Hampshire. For more information visit our Areas we cover page here.